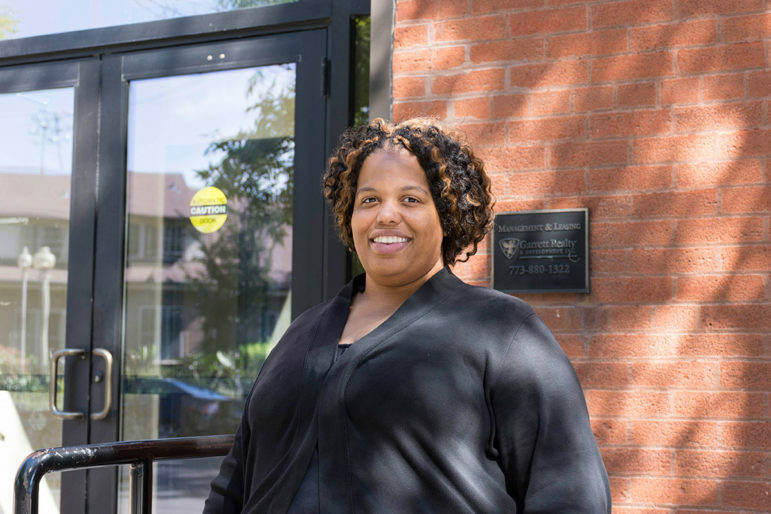 When Englewood resident Donna Carpenter’s utility bill went up after she signed up for an alternative energy supplier, she turned to the federally-funded Low Income Home Energy Assistance Program to help defray the cost. Cynthia Green ignored all the red flags. The 47-year-old Humboldt Park resident was running errands when a young man approached her in a Walmart parking lot on North Avenue last fall. The man, Green recalled, said he worked for a company helping residents save on their energy costs. He asked to see her bill. She obliged just to see what he had to say. She really had no intentions of switching her utility. Green’s ComEd bill usually ran less than $100 per month. But a few months after she signed with Major Energy her bill skyrocketed to $150. Major Energy is one of 55 active alternative energy suppliers — private companies that resell energy to residential and commercial consumers at unregulated rates — operating in the state. At first Green blamed her rising electric bill on the space heater her son used as winter set in. But by March, the single mother working two jobs had trouble paying her power bill and missed a payment. She considered applying for energy assistance such as the Low Income Heating Energy Assistance Program — or LIHEAP — to help defray the cost. In the end, Green put it on a credit card, a move that strained her already tight budget. By the time she finally extricated herself from Major Energy’s contract, she owed close to $300. About 1.7 million Illinoisans currently use alternative energy suppliers. Green is among thousands coaxed into switching suppliers in hopes of saving money but wind up paying more, and sometimes going into debt. Tactics such as these have brought alternative energy suppliers under the scrutiny of Illinois Attorney General Lisa Madigan, who sued Major Energy and three other suppliers, charging them with deceptive business practices. Since 2015, the Illinois Commerce Commission, which oversees the power utility market, has recorded more than 6,400 consumer complaints against these alternative suppliers, mainly from residential customers. Now a Chicago Reporter analysis finds that a disproportionately high concentration of consumer complaints against alternative suppliers occurs in the city’s low-income Black and Latino ZIP codes. Majority Black ZIP codes have twice as many complaints per household as Latino ZIP codes and three times the rate of white ZIP codes. And high-poverty areas have twice the complaint rate of the rest of the city. Consumer complaints filed with the Illinois Commerce Commission show that poor black and Latino neighborhoods are hit hardest by bad business practices of alternative energy suppliers. The 20 Chicago ZIP codes with the highest rates of consumer complaints against energy re-sellers are all mostly non-white. Meanwhile, nine of the 10 ZIP codes with the lowest rates of consumer complaints are mostly white. The Reporter calculated these rates by dividing complaint totals by the number of households. The highest volume of complaints in Illinois is found in the 60619 ZIP code, Chicago’s Chatham neighborhood on the South Side, which is 96 percent African-American. This is happening not just in Chicago. Outside the city, the most complaints were found in predominantly Black south suburbs like Chicago Heights and Calumet City, as well as Latino areas of north suburban Waukegan and Park City. The Reporter found high complaint rates as far as Rockford and East St. Louis. Deregulation of Illinois’ energy markets was intended to increase competition, lower consumer bills, and give customers choice beyond the giants of ComEd, People’s Gas and Ameren. But many wind up paying higher rates. An ICC report shows customers who switch paid $138 million more than if they had stayed with ComEd and $89 million more than if they stayed with Ameren. Thousands of customers have made complaints about business practices of the alternative suppliers. Analysis of ICC data shows that the top three consumer complaints against alternative energy suppliers are: sales tactics, marketing tactics, and unauthorized switching, also known as “slamming,” in which a customer is switched from one provider to another without permission. High energy bills can economically devastate low-income households. An unforeseen increase can lead to shut offs, bad credit, or force families to choose between food, electricity and heat. Community Organizing and Family Issues, a nonprofit parent advocacy group for low-income families, issued a report early this year examining the root causes of debt. The report found that for families making less than $15,000 per year, 33 percent of their debt comes from utility bills. Many families turn to taxpayer-financed aid such as LIHEAP to pay a portion of their utility bill. Illinois’ Department of Economic Opportunity, which administers LIHEAP, does not track how many LIHEAP dollars are funneled to alternative energy suppliers, nor do they track how many LIHEAP recipients have signed with these companies, but DECO says it plans to track information this fall. 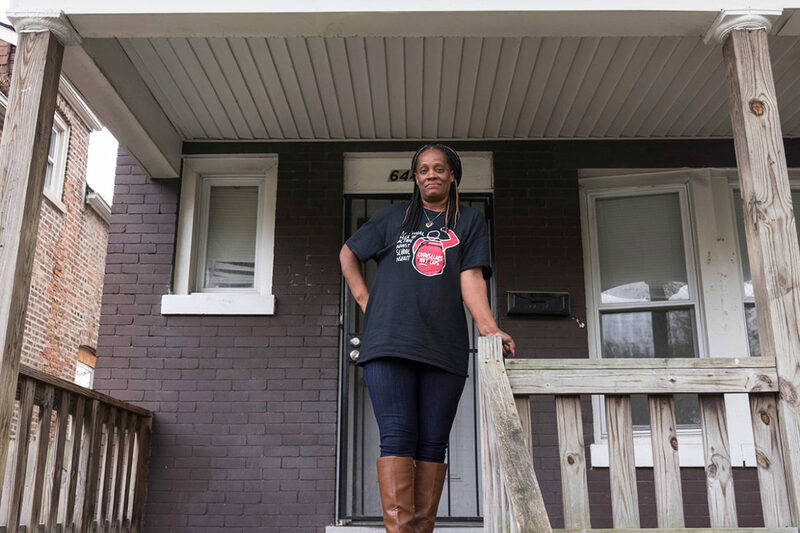 Talibah Moore, of Washington Heights, faced a rising gas bill after she signed a contract with Just Energy promising to save her money. CUB executive director Kolata says alternative suppliers use a variety of methods to snare new customers. Salespersons claim to be loosely affiliated with ComEd, even though they have no connection. Telemarketers tell people they are eligible for savings because they are good ComEd customers. And door to door sales reps ask to see residents’ bill to determine if they are entitled to a rebate. Others search for potential customers outside of big box stores and even at local public aid offices. One of the most common tactic is luring customers with gift cards. For Talibah Moore, 34, it was a $70 Sam’s Club gift card. Moore was shopping at the 95th and Western store last November when two representatives from Just Energy approached her. Her part time job at a nonprofit had warned her about alternative energy suppliers, but this time seemed different. But just like Cynthia Green, Moore saw her bills go up, especially for gas. She too attributed the high bill to the winter months. Eventually Moore sought assistance from LIHEAP for a gas bill that topped $1,000. Many of these sales tactics now violate new ICC rules put in place last May. The rules require suppliers to disclose rates upfront, inform customers in advance of rate changes, contract renewal or expiration dates, prohibit the use of public utilities logos or names in marketing materials, and record all telemarketing calls. Kevin Wright, president of the Illinois Competitive Energy Association, a state trade group representing a handful of alternative suppliers, acknowledged that there are some bad actors in this industry who mislead customers to turn a quick profit. Those businesses, he said, should be run out of the market, and he hopes the new ICC rules will do that. Wright disputed the notion that alternative suppliers routinely overcharge customers. Figures often cited by industry critics are taken out of context and fail to consider the additional services these companies provide, he said. Some suppliers provide energy efficiency products like smart thermostats, energy audits to help customers weatherize their homes, he said. Customers pay on average $9 to $10 extra a month for these services. Correction: This story has been updated to state that, according to a report by Community Organizing and Family Issues, 33 percent of debt for families making less than $15,000 comes from utility bills, not utility bills and past-due parking tickets. Protests are planned for Black Friday in response to retailer closing two South Side locations. Most of the voters in the Feb 24 election supported the idea of a small-donor matching program to fund Chicago political campaigns. I had that problem with Nicor Advanced Energy here in Belvidere (which is not Nicor but with same logo) a few years back. I somehow got switched and had huge bills( $1500 for one month during that very cold snap) It was a nightmare to get back to Nicor. My local State Rep helped me get in contact with the ICC which helped but it still took months. NAE tactics were if you disregard any mail to opt out or if you answer the phone and said yes to who you are they switched you over or the worst if you wanted to compare prices online you gave them authority to switch you stated in small print. They are now using a different name but same tactics. Check your bill. In the top right hand corner it tells you who your provider is. Homefield energy is NOT the lowest. They’re an aggregated supply service that struck a deal. You actually pay more than you think. It alright, but just know you have more and better options available. Certain supply services benefit you way more than you think. So having a Supply is good. Forget slamming. I don’t talk down anything, and ONLY speak the truth. I’m here to help and not hurt anyone. The whole article opened up with slamming. Supply Companies ARE NOT a scam. It’s YOUR FREEDOM OF CHOICE to have the FREE SERVICE of choosing ANY of over 60 different supply companies available in IL. 1.) Make SURE that you UNDERSTAND EXACTLY what service is offered. 2.) If you’re not ready to switch. Say so and go to “www.pluginillinois.org” and do your research on what’s available. 3.) Once you know you’re ready, then move on to the SUPPLY service that will benefit you based on your usage and in your Utility’s location. And I’ll talk to you for FREE with honest advice. You do what you like with the knowledge. Take care everyone and enjoy your day. This is me being blunt for everyone to inhale as the truth.